Coriant has introduced the Network Operating System (NOS), a disaggregated IP/MPLS software product for evolving carrier, enterprise, and cloud networks. Coriant NOS is based on an open and modular software architecture designed to operate on industry-standard COTS white boxes as well as application-optimised white boxes such as the company’s own new Vibe X90 Programmable Packet Platform. The company has designed the system to offer high-performance, hardware-independent flexibility and disaggregated software components including Open Network Linux operating system, hardware abstraction layer, IP stack, and network protocol suite. It is built for modularity, so that customers are able to more easily integrate and innovate with new functionality. 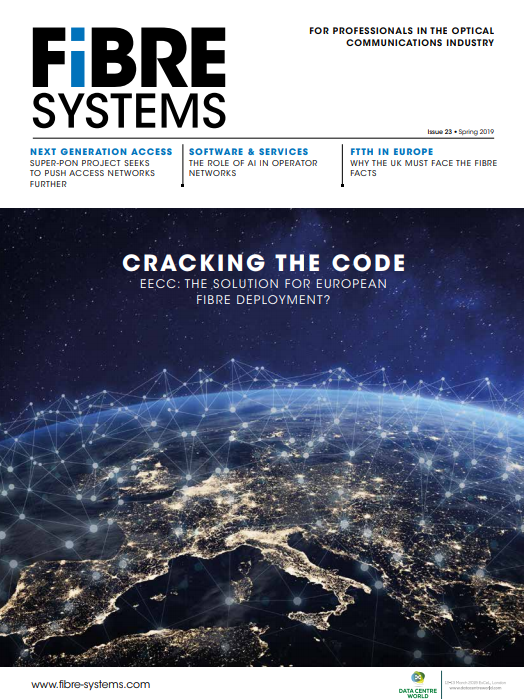 Uwe Fischer, executive vice president, R&D and PLM, and CTO, Coriant says that by separating the NOS from the routing hardware in this way network operators have the chance to break the ‘vendor lock-in constraints of traditional IP routing solutions’. The Coriant NOS includes a sophisticated hardware abstraction layer that supports standalone and multi-unit forwarding architectures, as well as support for a broad set of protocols required in carrier networks and Data Centre Interconnect (DCI) applications. It relies on the company’s field-proven IP/MPLS stack for applications requiring high performance, high scalability, and high resiliency and is designed with open APIs to simplify integration into existing environments while offering a programmable infrastructure.